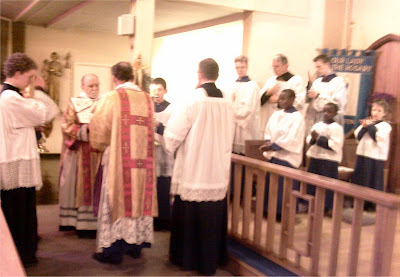 There was a good congregation for last night's High Mass at Blackfen for the feast of the Epiphany. 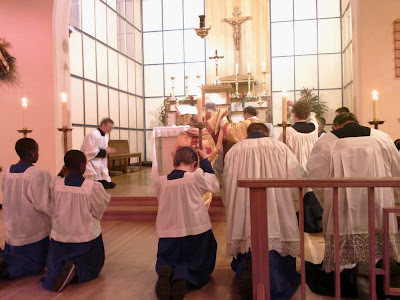 This was also the third consecutive Mass at which we have had ten servers and could therefore field the full complement of six torchbearers. Many thanks to the Mulier Fortis for taking the photos on her phone.